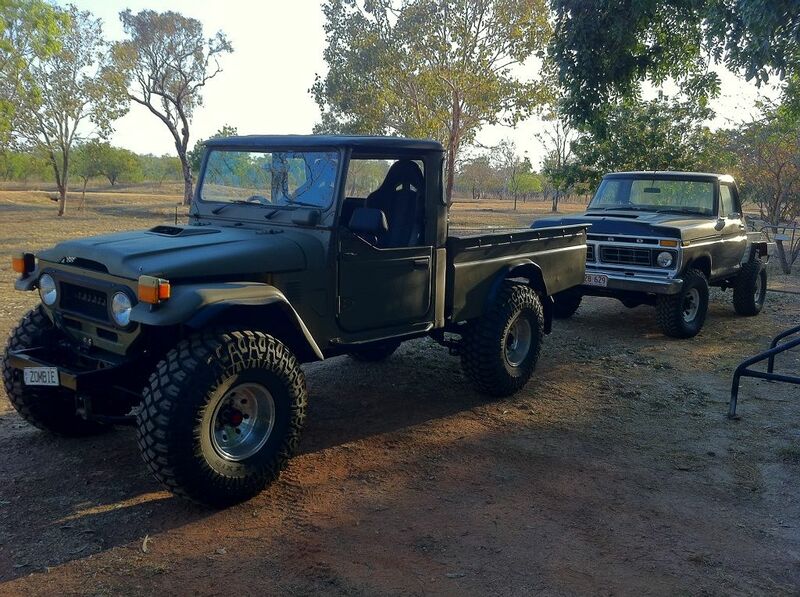 Heres a pic of my Fj45 i picked up a few weeks ago. I think im in love. That looks mean as Droopz! Nice truck mate! More info and pics, or do you have a build up thread here? thanks kustomv840, no build up thread but i can tell you a bit about it,,, it's running a Chev 6.5L v8 diesel, 4 speed manual w/ safari clutch, 2" OME springs and shocks + superior extended shackles, 35" BFG muddies on 15x10 infinity chromies, ARB winch bar, rear locker, twin 3" stacks, snorkel w/ K&N filter, 2" widened front guards, blah, blah, blah. I've done it up for my son but he is a fair way off diving yet. 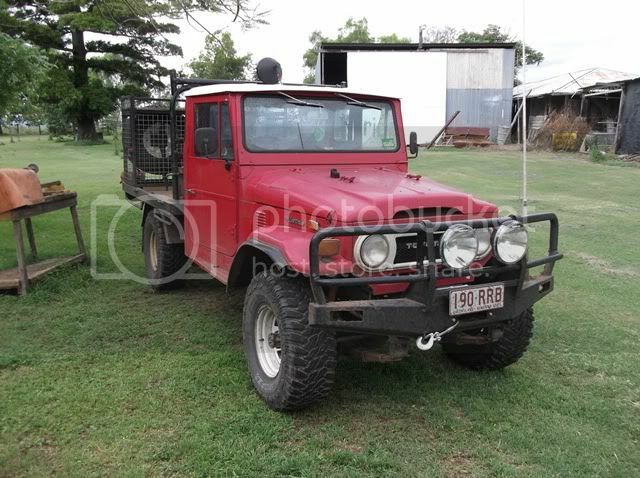 future plans are, fit a shackle reversal on front, fit second fuel tank under tray, fit 60 series diff in rear, the list goes on as you would understand. trying to post more pics please bear with me. Nice pics Towy, you can upload your pics to photo bucket and then link the pics to here. On your photo bucket account you just copy the IMG link and paste it in your post. Pic will show up here then. Easy as. Still very much work in progress but have completed the P\S and A\C and working on the paint and tray now. Still to come 5 speed and 60's diffs. but as always i don't earn enough.